In order to cater the numerous necessities of the patrons, we have been able to provide a wide range of Sperm Counting Chamber. Glass Agencies EROSE are manufacturer of Counting Chamber. 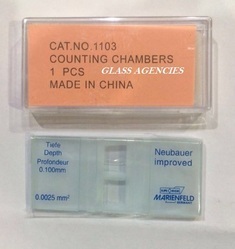 Neubauer Counting Chamber is a device used for cell counting. Neubauer Counting Chambers are the finest quality, optically ground, and polished milled glass chambers. 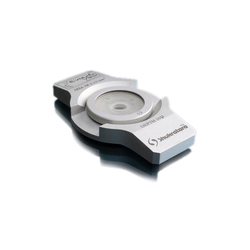 The Neubauer Counting Chamber is diamond etched and has a double improved Neubauer Ruling, meeting the most demanding of standards. Weight : 0.4-0.6g/pc, can according to customers' requirement. - Count Spermatozoa in any 10 squares & concentrate in million / ml. Sperm Counting Chamber: Leveraging on our wide experience and knowledge in this domain; we are considered as one of the leading supplier and exporters of sperm Counting Chamber.